Musings from Mount Helicon: My Newest Writing Venture! No, it's not Memory's Curse... that should be ready in the early spring (and I'm getting some MAJOR writing done for that). This is more of a literary venture with friends. Available now is New Years to Christmas: 15 Queer Holiday Tales with stories from my friends Peter Saenz, Mitchum Sinclair, Warner Davidson, Robbie Tursi-Masick, Jon Macy, Salvador Hernandez, Hank Henderson, and yours truly! 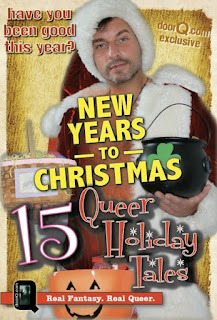 "New Years to Christmas: 15 Queer Holiday Tales is a collection of short stories and artwork created by a group of inspired gay men that celebrates the joys found in an array of well known American holidays. 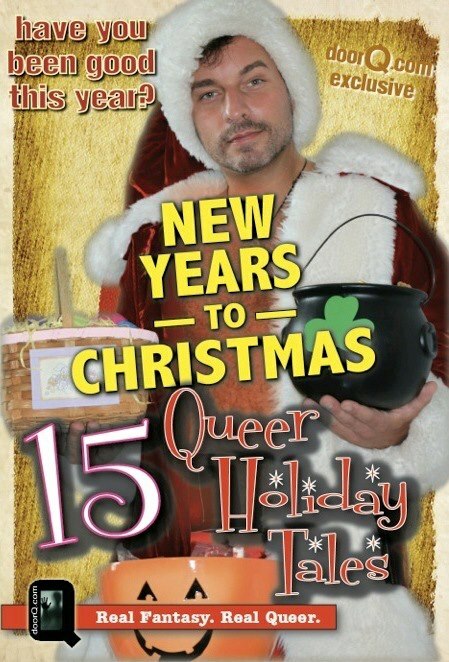 Become enraptured in stories that not only highlight the gay experience, but also captures the spirit of the seasons. Whether it be Valentine's Day, Easter, Halloween, Christmas, or another occasion you hold dear, this book will take you on several adventures that you'll want to enjoy over and over again. Celebrate all year long with New Years to Christmas!" My contributions are "Father's Day" and "The Hanukkah Gift," and they're purely gay romance. Thirty pages in one day! Yeah, baby. I live in a fantasy world.